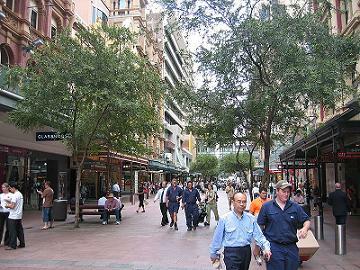 Pitt Street is the main shopping street in Sydney. Pit Street Mall is situated in the CBD and has many flagship chain stores, department stores and lots of specialty shops. The section between Circular Quay to Pitt Street Mall is a pedestrian area.